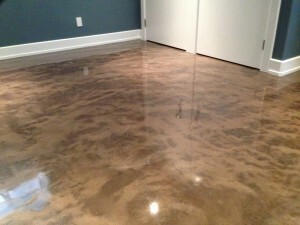 We just put the finishing touches on a beautiful “Reflector” floor coating in the Kensington area this past week. The clients love it and have had many positive comments about their gorgeous floor! It was a custom blend of two colours to create a truly “one of a kind” floor. Reflector/Enhancer is a metallic powder that we mix with our “Elite Crete” epoxy to create amazing floors.